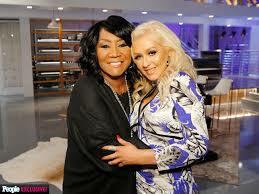 Patti LaBelle will lend her veteran expertise and pipes to NBC’s The Voice’s upcoming season. Access Hollywood is reporting that the legendary songstress will serve as an advisor to Christina Aguilera, who returns to the red swivel chair after a one year absence. Christina Aguilera Goes Off On Mickey Mouse! Ayesha Curry: She’s the REAL MVP!